Do you have a lot of music and just not enough space on your WebOS device? Have you ever been somewhere and had a tune in your head that you just had to hear but it was on your home pc? 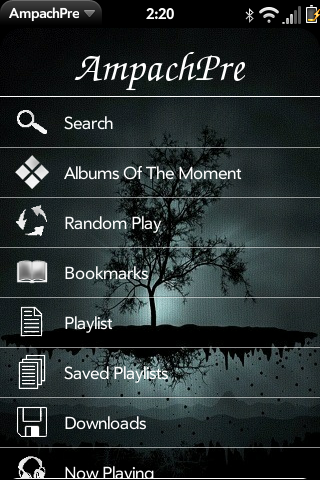 AmpachPre is the worlds first front end to the great Web-based Audio file manager / web Media Server Ampache for webOS. Just setup a LAMP, WAMP or MAMP server, install Ampache, enter your account info into AmpachPre and login. Search for artists, albums or songs. With AmpachPre, you have your entire music library at your fingertips.